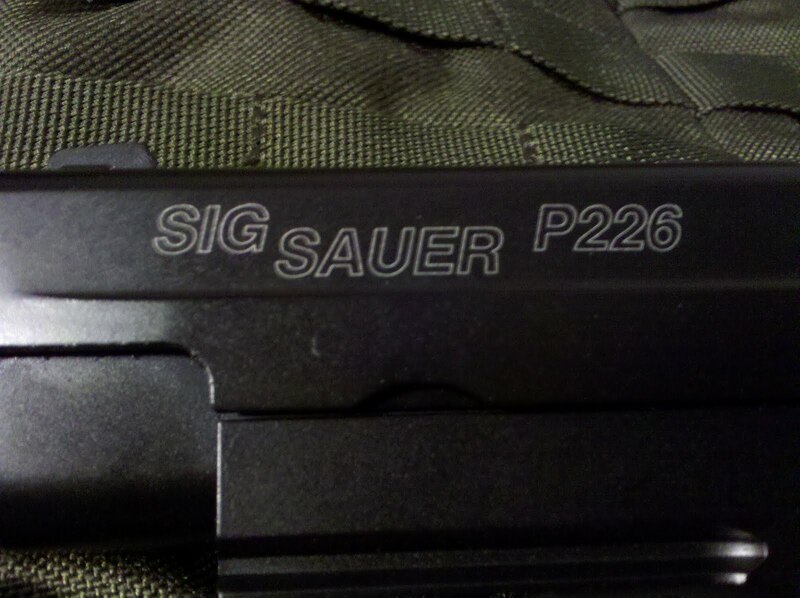 So I got this KJW SIG SAUER P226 in the mail the other day and I thought I would tell you how lovely it is. How lovely, you ask? Very lovely. This is an Airsoft P226 manufactured by KJW with SIG SAUER trades, licensed through Cybergun. I got it from Pyramyd Air for a very reasonable $127. I ordered this beauty at around 8am in the morning, Pacific Standard Time. I was supposed to be getting work done at the office, but instead of preparing financial statements, I opted to get this thing into Pyramyd's pipeline before 12pm Eastern Standard Time so that it would ship out that same day. Mission complete. I'm a cheapskate, more so than I am impatient despite being very excited for this thing to arrive, so I chose the free ground shipping (UPS aka "Brown") and waited the usual 5 business days for it to arrive on my doorstep. Brown never lets me down. The company began in 1853 as a wagon manufacturer called the Swiss Wagon Factory. Guess what part of the world they they got started. Somehow the three founders, each having very German/Swiss names, got the idea to compete for a deal to develop some guns for Switzerland's Federal Ministry of Defense in hopes the Swiss army would think they were tight and want to buy them. Long story short, they got the deal and changed their name from the Swiss Wagon Factory to the Swiss Industrial Company, which in German (you know, Deutsch?) translates to the Schweizerische Industrie-Gesellschaft. *Light bulb* I just realized that when you take the first letter from each of those German words and put them together in all caps, it spells SIG. Just like the name of the gun company I am talking about. Weird. Anyway, SIG (under the name, SIGARMS, Inc.) made some more guns that a lot of people seemed to really like to shoot other people with and then later, in the 1970s, SIGARMS started absorbing other companies, including one called J.P. Sauer & Sohn from West Germany. 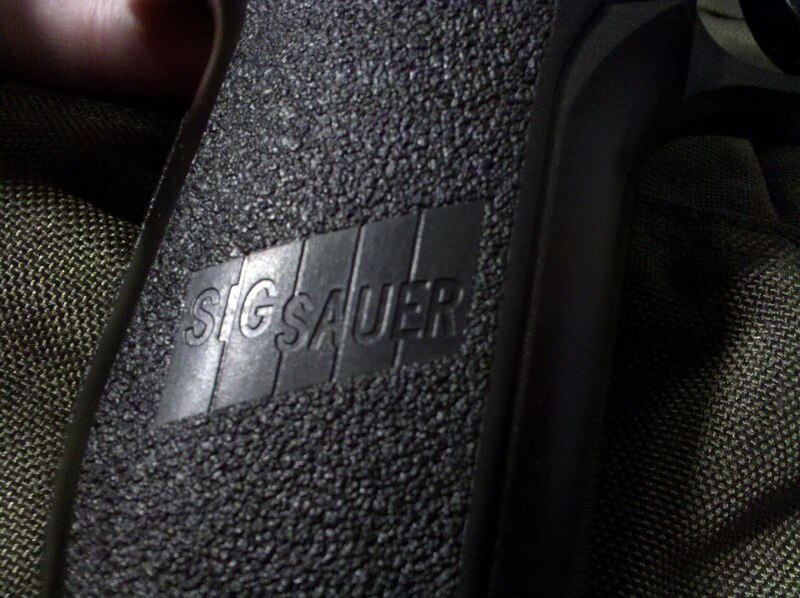 October of 2007, they changed their name to SIG SAUER because they felt like it. End of story. 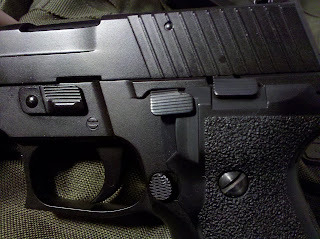 Check the SIG SAUER website for the dry-as-toast version of their story. 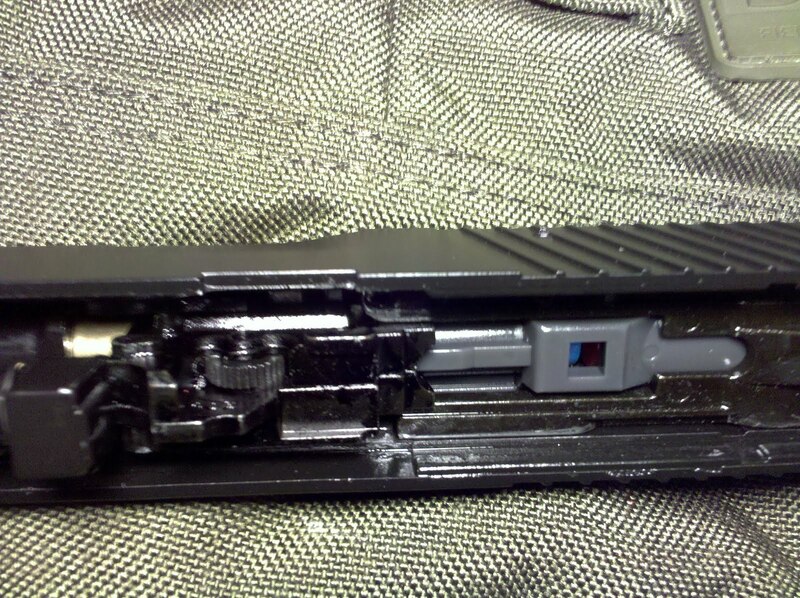 Note the gun's rail which allows for a tac light, laser, or combo thereof. I like the combos. Why not have both? Hmmm??? 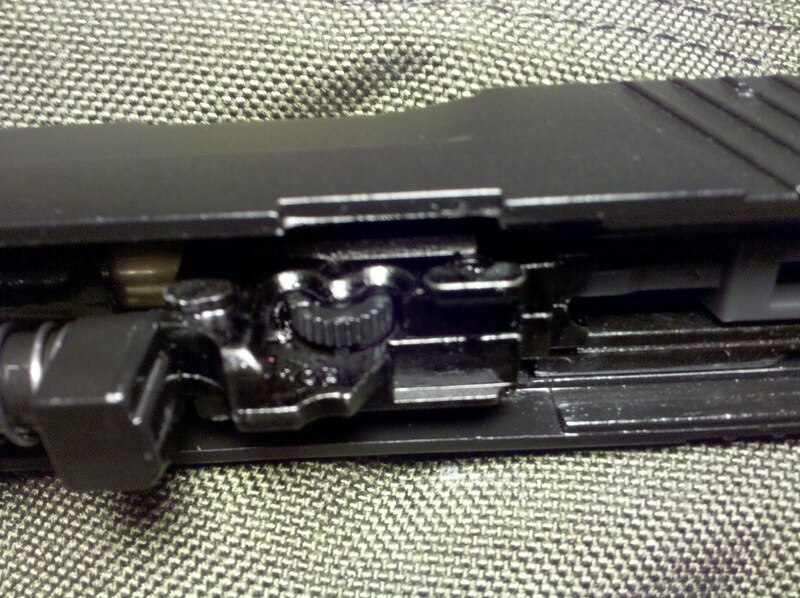 To the far left is the slide release that allows the gun to be disassembled. Trades Engraved on the Left Front side of the Slide. Here are a few shots of the slide, after I removed it from the frame, which is very easy to do. 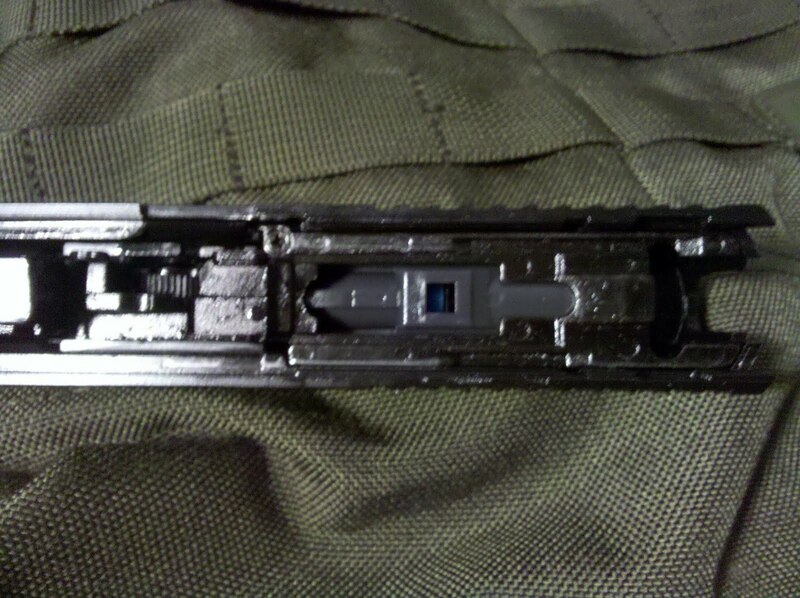 You can see the hop-up wheel with the ridges in this shot. Currently it is all the way off. 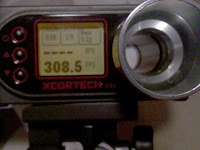 There is a small notch on the wheel that indicates how much hop you've got on the BB at present. To increase the hop of the BBs, simply turn the wheel so that the notch travels towards the back of the slide. In the case of the picture immediately below, the back end of the slide is on the right, so you would turn the wheel to the right to increase back spin. I couldn't get a clear shot close enough to show it, but there is an arrow next to the wheel indicating what direction you need to turn the wheel in order to increase the hop-up. 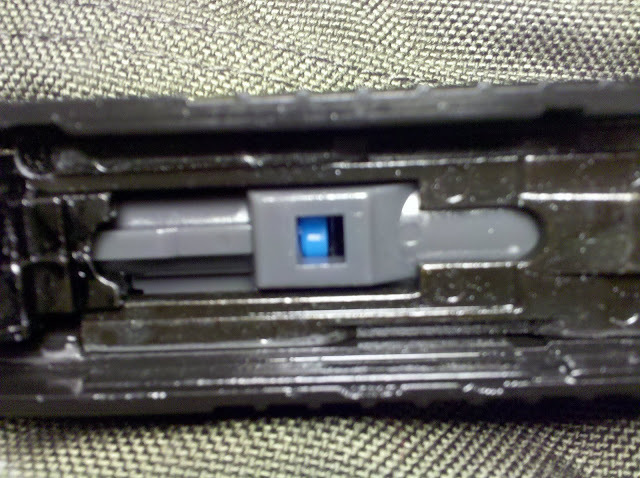 This image features a close-up of the loading nozzle. Gas enters the gun directly from the magazine through that square port where you can see the blue flow valve inside. The more astute readers will notice there are 25 rounds in the mag I have featured just below this fascinating text. 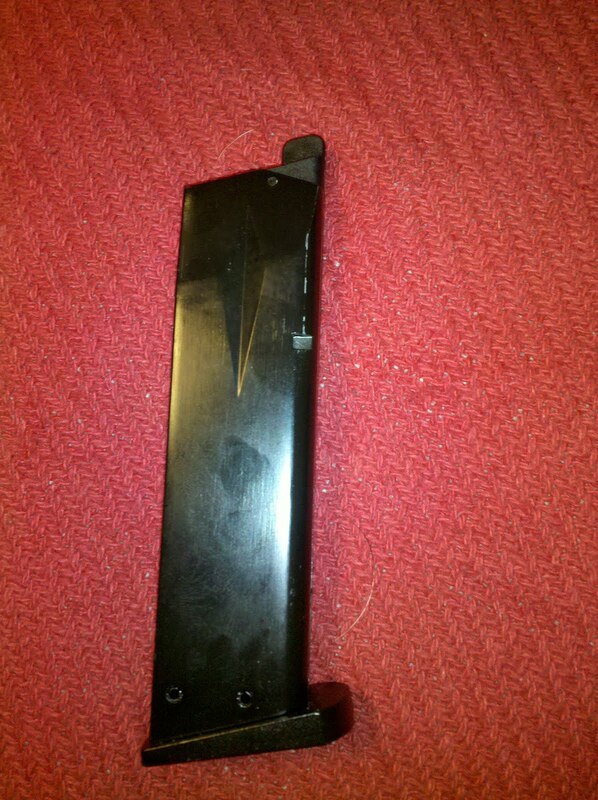 I found after firing this mag that the gas reservoir inside the mag doesn't quite have enough room for gas to power that 25th shot out of the gun at a decent velocity. Just an FYI. If you are using propane to power this piece, make sure to add a few drops of a silicone oil into your mix when you first gas up the gun in order to get some lubrication in areas that need it. 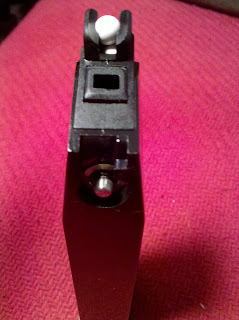 A note on extra magazines: I recommend them. At least one extra. If you play on fields that are pretty large and spread out where close engagements requiring the use of pistols aren't as common, then one extra mag should suffice. However, if you play at fields where you're constantly having to transition from rifle to pistol or if you play pistols-only games often, then I'd suggest the more the merrier. Personally, during pistols-only games that allow it, I will carry as many mags as I have available for the pistol I'll be using. 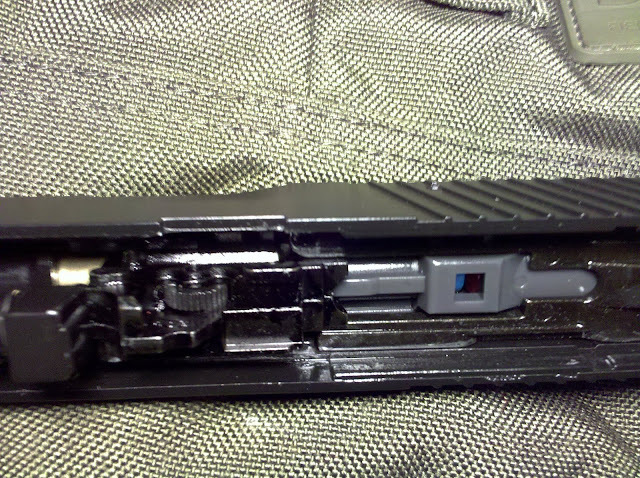 In target rich environments at a CQB venue, it wouldn't be unreasonable to carry 5, 6 or even 7 mags, depending on the length of the game and the number of players on the other side. IV. 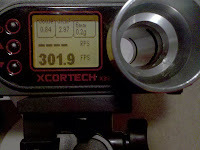 Chrono Results using a TSD .20g BB, hop-up turned off. 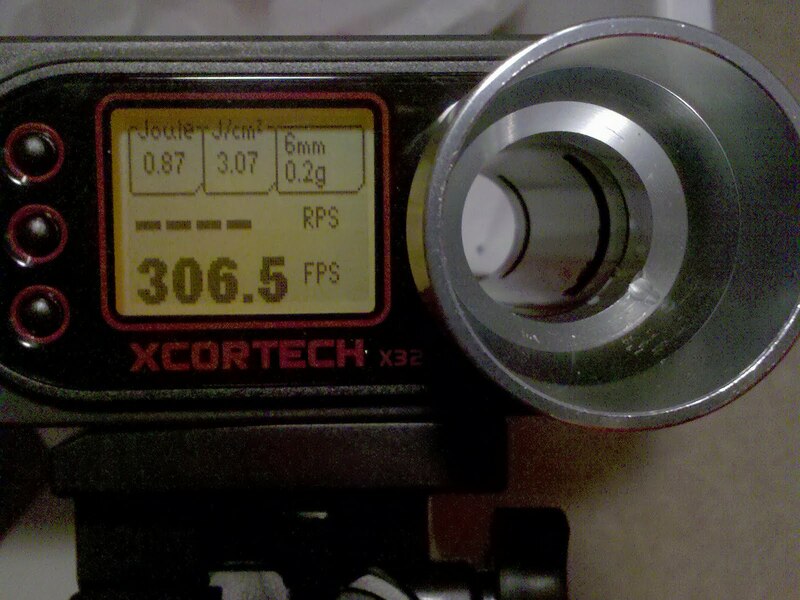 You can see the results are fairly consistent for a gun running on a notoriously inconsistent gas. 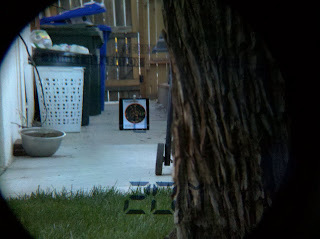 V. Target Shooting at 20 meters. So here's a clip of me showing you what a terrible marksman I am with a pistol. Actually, I'm blaming the gun a very small smidge because I hadn't quite gotten the hop-up where it should have been. 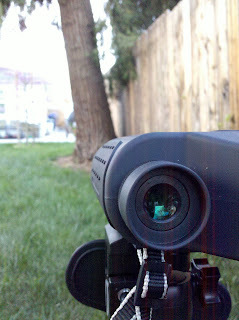 But I was running out of daylight and had a other things that I needed to get done as well so I only did one take. Deal with it/I love you. 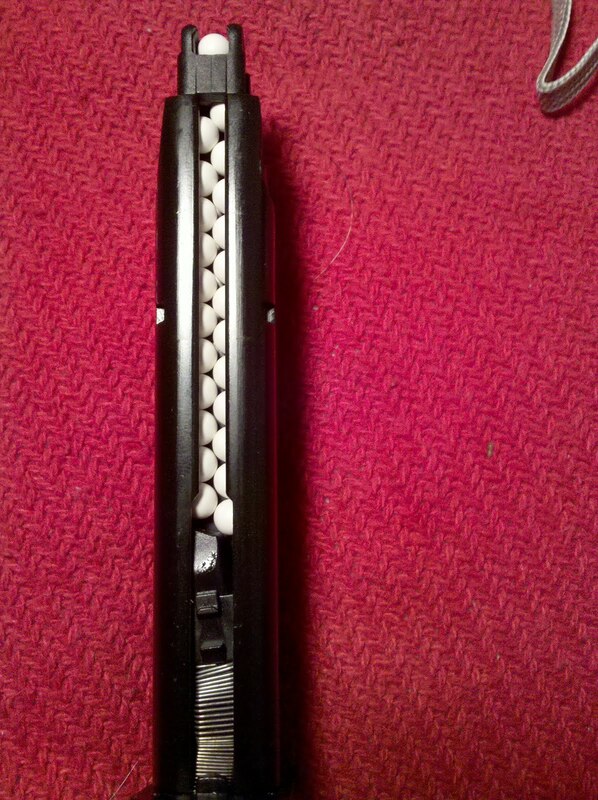 Deciding that I wasn't satisfied with those results, I continued to load mags (four mags worth in total) and get some practice in once I got the hop-up squared away. I was much happier with the results. 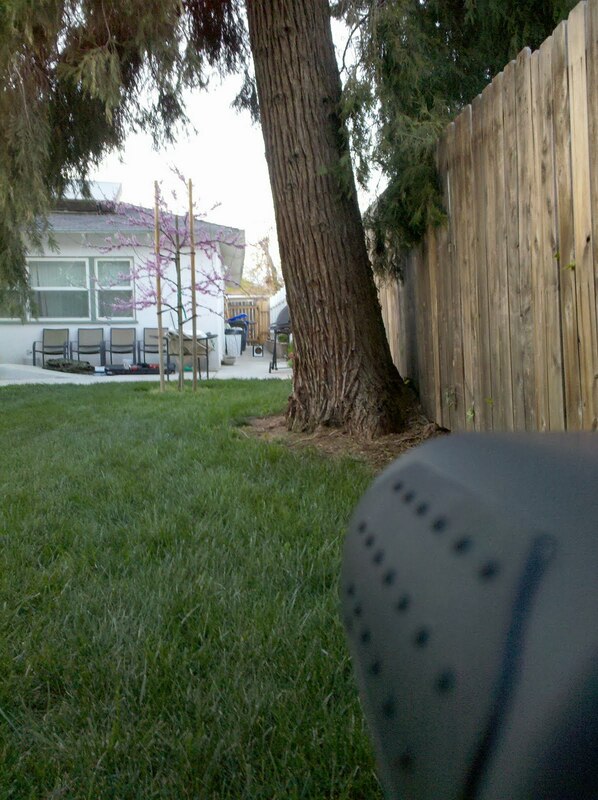 I could actually look down the sights of the gun, aim at the target and hit it one shot after the other. 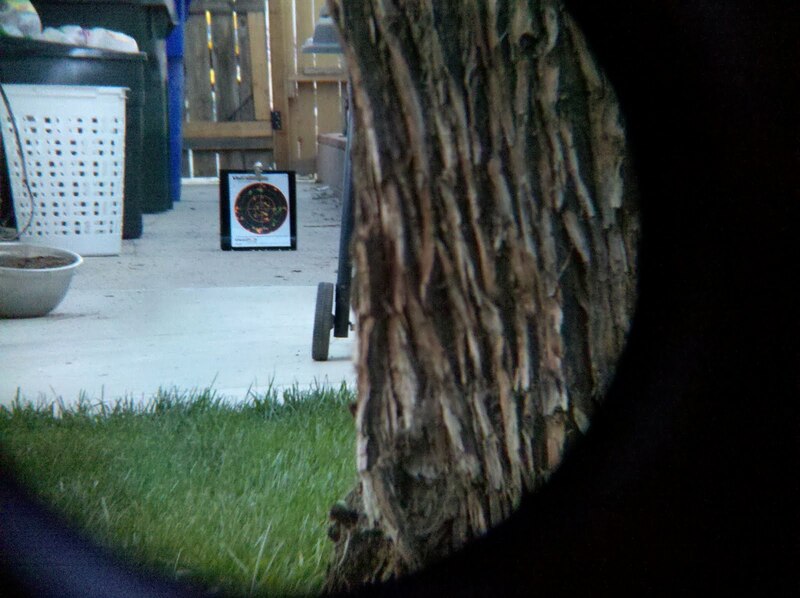 So I hit the target a few more times. There were definitely some fliers in the mix, but because of the gas blowback element AND that it's a pistol, it was difficult to tell whether it was my poor shooting skills or if the gun was sending the BBs off in different directions. I wasn't missing the trap by a whole lot, but still. 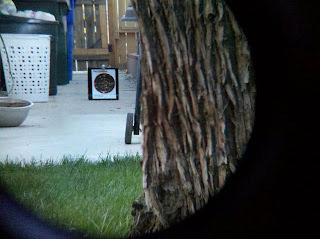 View of the target through the Newcon range-finder, un-lasered. Accuracy is good enough to engage targets at 20 meters and beyond, provided the hop-up is set correctly. High quality upgrade parts are available if you are so inclined to such things. Decent velocity consistency from shot to shot. There are a number of holsters on the market that this will fit, including the Serpa, which is my current favorite until 5.11 releases more options for their new Thumbdrive holsters. Price seems to be very reasonable. 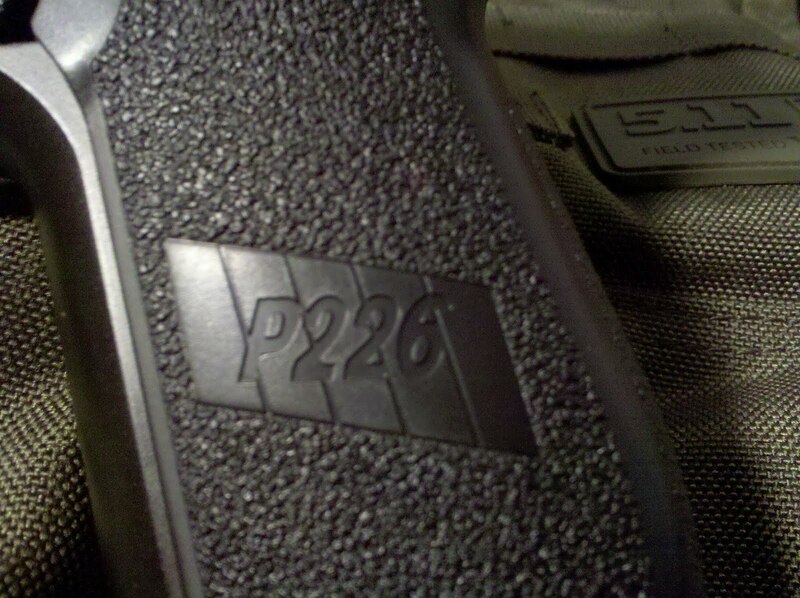 Here's a link to Pyramyd's Product Page, in case you missed it: KJW SIG SAUER P226 Airsoft GBB Pistol. 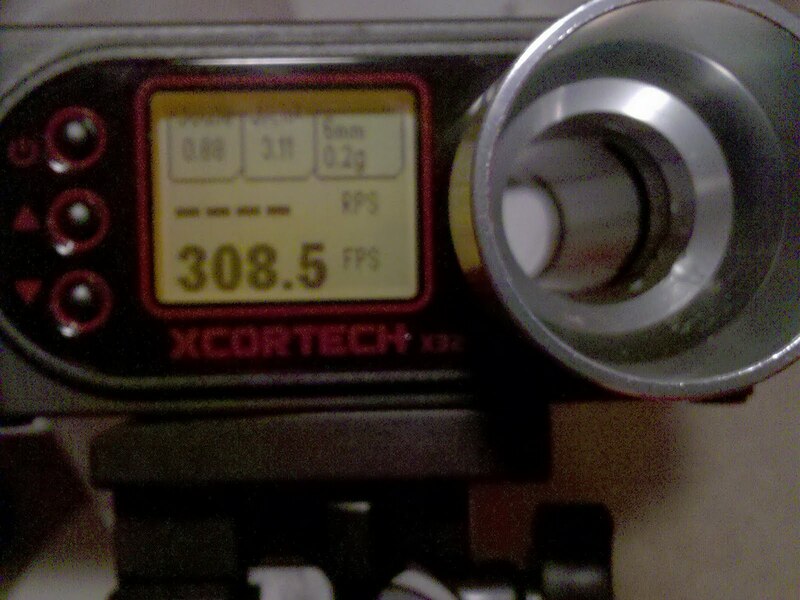 Would like to see the stock velocity a bit higher, towards 350 fps. 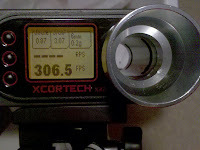 You should be able to get it near there with high-flow valves and a tighter inner barrel installed, though. It will add to your cost, of course. Accuracy, even with the hop-up adjusted, could improve. 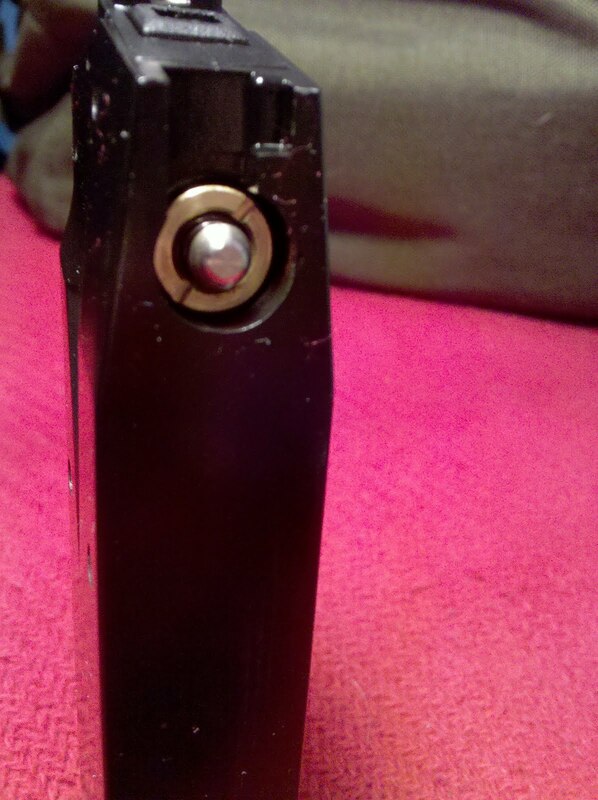 Possibly situating the bucking a bit better and getting a good seal on it would help. 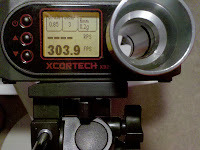 The hop-up adjustment wheel has a tendency to move after firing a magazine or so worth of shots, requiring occasional readjustment. Rail is a bit short, so you'll be a bit limited on the types of lights or lasers that will fit on it. I enjoyed getting to know this gun. 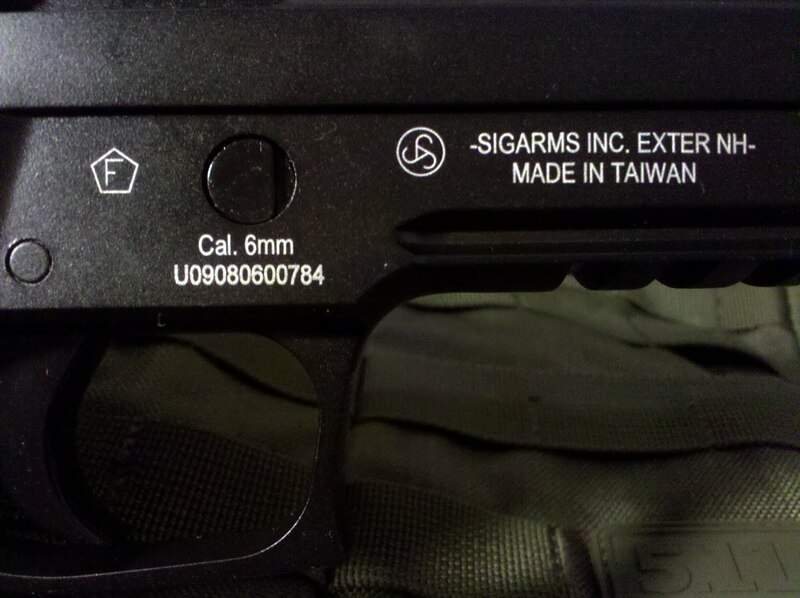 KJW did a very nice job on it, and the having the licensed trades is certainly a nice touch. 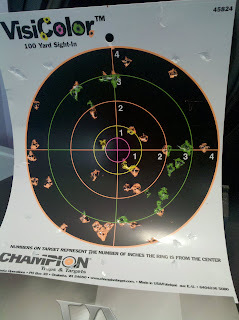 Once I got the hop-up under control, I was pretty happy with the accuracy and would definitely feel comfortable taking this gun out to the field for a game. I would have no problem recommending this gun to others for purchase and use. It's definitely a winner for the SIG lovers out there.